Actual Age: He appears to be around 40, but in fact has been around just about forever, or as long as it would have mattered to be around. His age is drastically slowed due to his heritage, allowing him to be effectively immortal, aside from being struck down. Much like the above pictue, except that he has a large scar across his chest, and wears a ring on his left ring finger. He will normally either wear this robe, or a long black one. He has also been known to wear expensive suits from time to time, and owns many sets of armor. Weaknesses: He tends to be blunt about his opinions, not caring for the politics that he born into. He will go any distance for someone he grows fond of. He may come off as a cold teacher. Unique Ability: Reaitsu Control: When this ability is active, Ish is given access to the power known as the Big Will. It grants him access to the energy of the cosmos, an almost infinite supply of reaitsu. Using it, he can bend reality around himself. This can be demonstrated in several ways, from bending the reaitsu around him to being able to establish a single rule that affects the entire world around him for as long as his mask is out. This ability is the closest to his true power, and so is the least used. In addition to this ability, Ish can use his unique Cero. Rebirth Cero: Ish's Vizard status has enabled him to use his unique cero. This cero draws spiritual particles in as it moves, effectively turning an opponent's reaitsu against them. Life force manipulation: Ish can use collected life force in a variety of ways. When released, he can make small structures with it, as well as weapons. C. Allows him to manipulate the life force more directly than normal. Lifesight: A passive ability, this allows him to see through his soul, and into the souls of his opponents. This allows him to learn about them very quickly, and read them very well. It also makes him impervious to most mind-altering effects. Lifelike: Ish can divide his own lifeforce, creating as many duplicates of himself as he may like. However, when they are slain he will lose a portion of his life-force. Each clone can only survive one attack. Released Zanpakuto Description: When Jinsei is released, all beings that are not spiritually aware within a 100 meter radius will lose all of their lifeforce, effectively killing them if it is not returned. Lifeforce will begin to drain steadily from any being that does not have a Captain-level reaitsu or higher, taking about 20 posts to drain completely (when hit subtract 2). 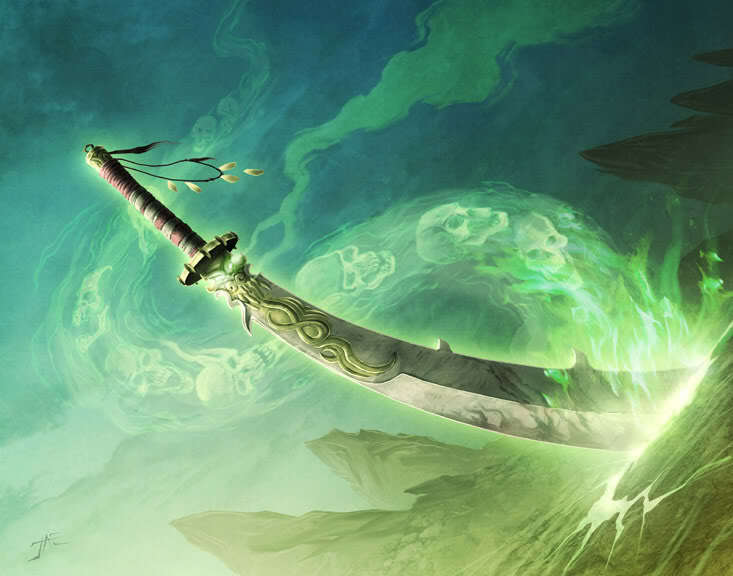 Life Manifestation: Ish can use the blade to manifest a being created with all the stored reitsu in Jinsei. This being will have the abilities of anything used to create it, and it's appearance will be reflected in the same way. If Ish uses this and releases the life force, it will return to its owners. If the being is destroyed, the life force is lost forever. This technique is rarely used, due to the fact that Ish doesn't like to release too much life force into the world. Ish's aura abilities will at this point double in their effectiveness with the exception of his speed, allowing him a 50% reduction in all damage and the ability to form large structures from lifeforce. Released Zanpakuto Looks: The aura appears, and an identical second blade appears in Ish's off hand. Do you want your character to have Bankai? Yes. Bankai Looks: At this point, Ish obtains a set of gold and black armor, which does not hinder his movements but is strong enough to protect from normal blows of an unreleased Zanpakto with ease. His blades remain the same, with the aura around them often coiling along them at this point. History: Ishpaleum was born in a time before time, when the Earth was first being created and the laws that would govern it were being established. He was the only son of the chief diety of the Earth, Shinnok. Shinnok had been designated to watch over the Earth as its Guardian, and so had full authority over it and its inhabitants.... which were currently being debated. It had already been decided that humans would roam the Earth, but many were debating that they were too weak to protect themselves entirely. As such, they wanted to establish another race of beings for when they died, to protect and guide them. Shinnok was staunchly opposed to this plan. He disliked humans, and wished to create a "superior" race of beings, whose sole purpose would be to serve him. He would use humans as the primary food source for these beings, and even change them into them if he could. In the end, his adversaries managed to win the debate, and so Shinnok was asked to give a gift of good faith to the new race, the Shinigami. Shinnok decided to send his son, Ishpaleum, to Earth as his gift. He had raised Ishpaleum to think like him, and so assumed that he would work as his spy among them, eventually destroying them. Instead, Ish decided to live among them peacefully, helping to guide them to new heights, even going so far as to establish what would be known as the first Soul Society, which became a safe haven for Shinigami. Ish eventually became the unofficial leader of the Soul Society, directing most of the daily affairs. He became good friends with the man who had been chosen to be the King of the Soul Society, and was tasked with the defense of both their world and the human world. Humans had finally begun to emerge from the primordial ooze from which they had been crafted at this point, and so it seemed that their job was about to begin, To this end, Ish began to organize his military, which eventually consisted of nearly every Shinigami within the ever-growing Soul Society. It was also durung this time that he met the woman that he would eventually marry, Elena. Elena was a fiercely powerful Shinigami woman, who quickly rose throughout the ranks of what Ish had dubbed the "Interworld Defense Force" (I.D.F.). All was peaceful for many centuries after the S.S. had been established. The Shinigami did their jobs, and the humans lived their short lives uninhibited. Ishpaleum and Elena got married and had a son, who they named Domon. Domon grew up somewhat privileged, due to his father's status within the S.S. He followed his father everywhere, and grew under his tutelege. When Shinnok heard that Ishpaleum had had a child with a Shinigami woman however, he was furious. He swore to tear down the Soul Society and destroy the child. To this end, he finally created the beings that he had wanted on the Earth in the first place, his Hollows. He allowed them to draw directly from his power, allowing each of them to be capable of combating a Captain level opponent. Ish had heard of the army approaching the S.S., and so had been prepared. He had placed Domon in a Kido-based sleep, then hidden him and the other children far from the Soul Society. He had then begun his preparations for the upcoming war, which lasted only a few weeks. In the end, it was only Ishpaleum himself that stood, holding Elena's corpse as he changed, unleashing his full divine powers upon the Hollows, destroying all present, as well as the remains of that great place. Ish then began to seek a way to destroy his father for what he had done... which is how he found the Reaper. The Reaper was a being that represented death, specifically the deaths of immortal beings, such as Shinnok. Ish struck a deal with him, gaining immense power which he used to combat his father. In the end of the long battle, he found that he still could not kill Shinnok, and so he used a special Kido to seal him within his Zanpakto Konmatsuri, which he would later pass on to another person for safe keeping. It was also during this battle that Ish became a Vizard, after a blow from his father. Fortunately, both his inner Hollow and he saw the benefits of mutual agreements, and so proved to be an effective team. 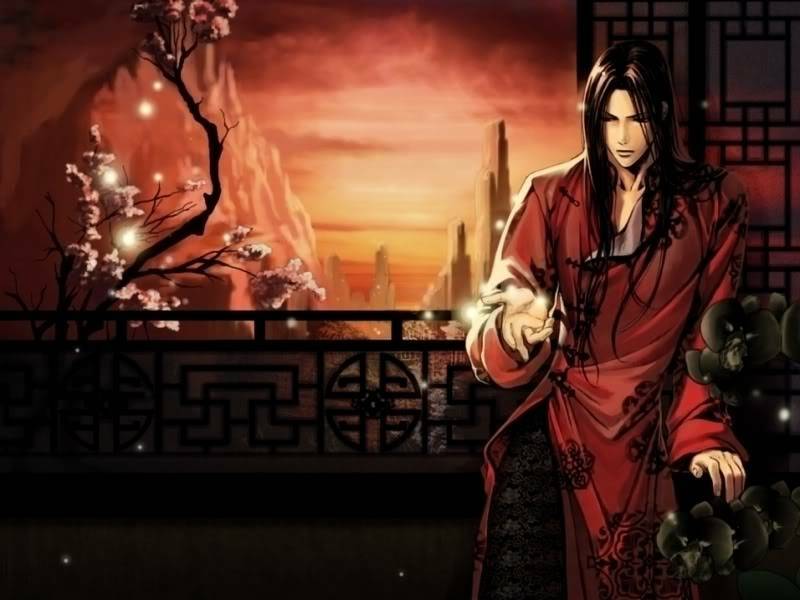 For many millenia after that, Ish would appear at random intervals in time, causing chaos, beginning and ending wars, shaping both human and Shinigami history as he saw fit. Without Shinnok to sustain them, the Hollows had become little more than mindless beasts, showing no purpose but to fill their bellies. Ish would eventually become the bearer of many dieties, who sought to use him to assert control over the Earth in Shinnok's place. Unfortunately for them, they underestimated Ish's willpower, and he eventually cast them out by unleashing his full power for the second time. However, doing this meant that he had to take up the mantle of Guardian of Earth, which he has done for about ten thousand years now. (Although time is tricky up in the heavens... doesn't work quite the same as on Earth.) Growing bored of this, Ish promoted the Reaper to a higher station, that of Death itself (as per their arrangement) then left. Upon his arrival, he saw almost immediately saw that the state of the world he so loved was... lacking. As such, he has devoted himself to setting right the wrongs that he sees in the world, and plans to use the Vizards as the blade with which to cut this new destiny. RP Sample: It truly was a beautiful day, Domon decided as he walked down the streets of Karakura Town, a plastic bag filled with foods slung haphazardly over his shoulder. He had come to town to pick up groceries for the home that he had recently moved into. He smiled, knowing how futile it might be for him to buy food now that he didn't have to eat. Still, since when has necessity dictated what people do.. I'm trying to be human, and humans eat. He nodded to himself, his smile fading from his face as he felt a familiar tingle in the back of his neck.. a reaitsu that was stronger than a normal Hollow, and was most definitely not human or Shinigami. He sighed, knowing that there were no Shinigami around that would be able to handle such a threat, and no humans that would be wise enough to survive an encounter with it. He continued walking for a few moments, considering the possibility of allowing it to roam as it liked. After all, what harm would it really do to let one Arrancar roam Karakura? For all I know he could just be a tourist... The image of one of the Espada walking around town in a floral shirt and shorts made Domon chuckle, and he almost decided to ignore it until he came face to face with himself in one of the many reflective surfaces that covered the buildings of Karakura Town like the spots that stained a drunk's liver. He saw himself, with his newly blackened hair, crimson eyes, and school uniform, and knew that he could not risk letting the people around him get hurt if he could stop it. With that thought in mind, he vanished from the sight of those who had been watching him. He appeared near the source of the reaitsu he had been feeling, approaching it with a confident stride while masking his own pressure, keeping it at the normal human levels. He soon saw what he had been looking for: a man, his feet just touching the ground as the lips of the Garganta he had traveled from closed, the last glimpse of the darkness it held within fading from view as the sky reverted to its normal blue. The man simply stood there, and so Domon stopped about twenty feet from him, speaking in a calm voice. Looking for something? Unique Ability: Reaitsu Control: When this ability is active, Ish is given access to the power known as the Big Will. It grants him access to the energy of the cosmos, an almost infinite supply of reaitsu. Using it, he can bend reality around himself. simply put, no. There is not a single thing that ISNT oped about this. frankly, the first half of it is fine, but the second part is a definite no, no copying abilities, even to a weaker extent. Explain how directly, otherwise no. Explain more on this, what you see when you veiw their souls. This would be fine, but please say the porpotions in the post you copy yourself. And of course the age old rule of not being a clone at the start of the topic. yeah no. The amount of abilities it could have would make it FAR too oped, no. uhh yeah, no. it should take the reiatsu from beings with LESS reiatsu than you, period. Ishpaleum was born in a time before time, when the Earth was first being created and the laws that would govern it were being established. He was the only son of the chief diety of the Earth, Shinnok. Shinnok had been designated to watch over the Earth as its Guardian, and so had full authority over it and its inhabitants.... which were currently being debated. It had already been decided that humans would roam the Earth, but many were debating that they were too weak to protect themselves entirely. As such, they wanted to establish another race of beings for when they died, to protect and guide them. Shinnok was staunchly opposed to this plan. He disliked humans, and wished to create a "superior" race of beings, whose sole purpose would be to serve him. He would use humans as the primary food source for these beings, and even change them into them if he could. In the end, his adversaries managed to win the debate, and so Shinnok was asked to give a gift of good faith to the new race, the Shinigami. Shinnok decided to send his son, Ishpaleum, to Earth as his gift. He had raised Ishpaleum to think like him, and so assumed that he would work as his spy among them, eventually destroying them. Instead, Ish decided to live among them peacefully, helping to guide them to new heights, even going so far as to establish what would be known as the first Soul Society, which became a safe haven for Shinigami. Ish eventually became the unofficial leader of the Soul Society, directing most of the daily affairs. He became good friends with the man who had been chosen to be the King of the Soul Society, and was tasked with the defense of both their world and the human world. Humans had finally begun to emerge from the primordial ooze from which they had been crafted at this point, and so it seemed that their job was about to begin, To this end, Ish began to organize his military, which eventually consisted of nearly every Shinigami within the ever-growing Soul Society. It was also durung this time that he met the woman that he would eventually marry, Elena. Elena was a fiercely powerful Shinigami woman, who quickly rose throughout the ranks of what Ish had dubbed the "Interworld Defense Force" (I.D.F.). first off, you just said you're the son of "god", which is litteral god mod ._. and then the fact you were CC then vaizard? you are surely joking... right? oh and if you think that this is prejiduce, Vizards have to be monitered alot more heavily than other races, which is the sole reason I even glanced at this, and frankly I am glad I did. Please fix these errors and I will be glad to approve you.